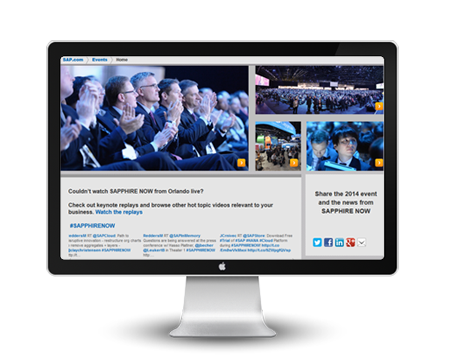 SAPPHIRE NOW is a flagship event of SAP and one of the best recognised knowledge event in IT industry. Sapphire Now brings collaborates and networks with the entire SAP ecosystem in one location. In addition, influencers, project managers, and implementation and support teams involved in deploying business technology initiatives. Our robust online events platform enables as many 150,000 to 200,000 online attendees.